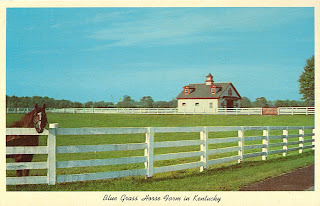 This famous horse farm is in Kentucky's Blue Grass Region. 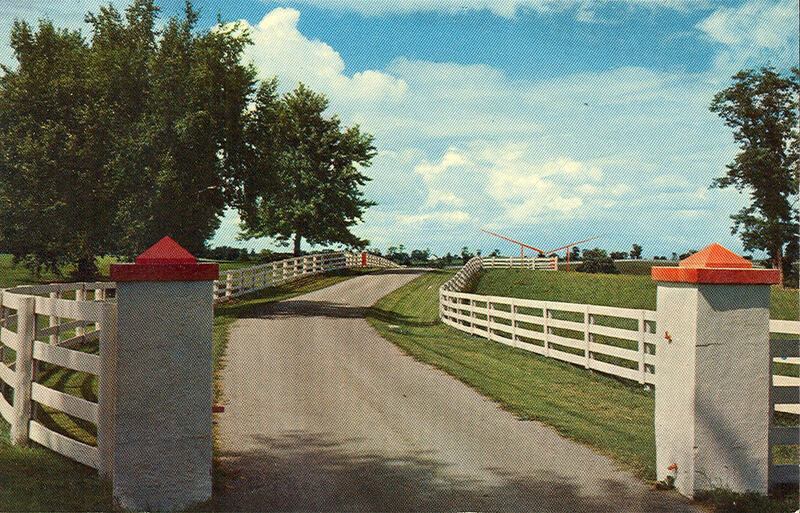 Calumet Farm is thehome of many well-known horses, including winners of the Kentucky Derby. 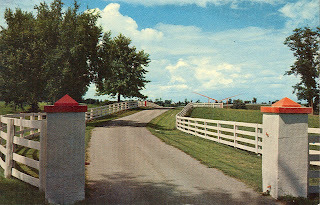 Entrance to the Calumet Farm in the Blue Grass Country near Lexington, Kentucky. 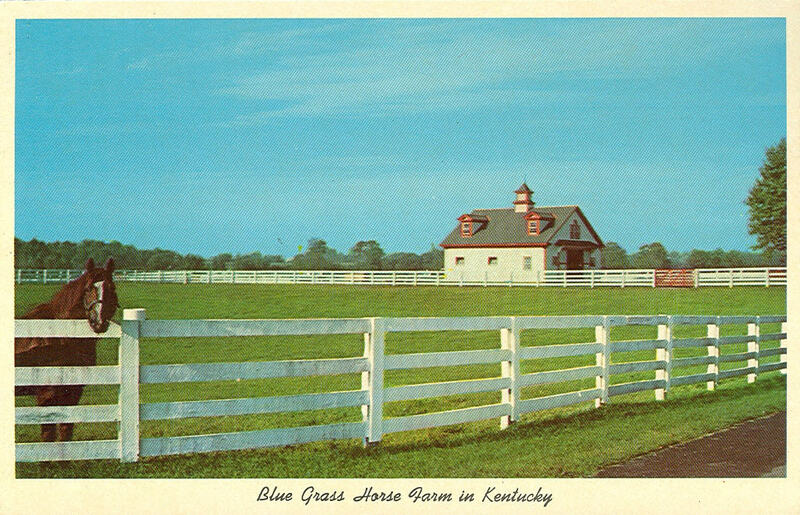 The pictorial Blue Grass Region around Lexington is the mecca of all horse-lovers. 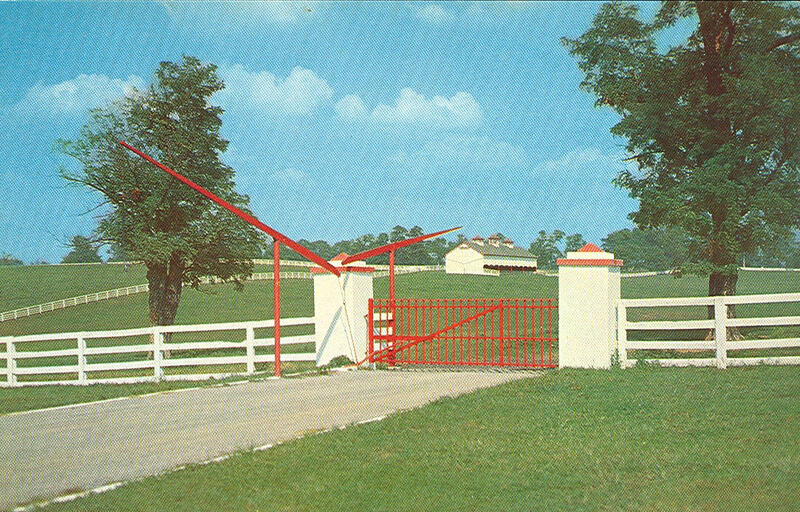 Here, you see one of Calumet's many fine thoroughbreds greeting you. 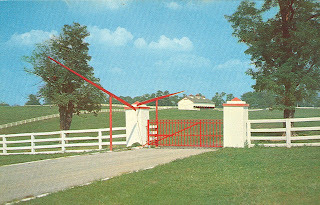 Famous Calumet Farm, covering an area of 900 acres, is located on U.S. 60, Lexington, Kentucky.